Having a personal assistant is great. You have someone to set your appointments, find directions to your next meeting, even order a pizza for you. If you have the right kind of assistant, they’ll even turn on your television, open the shades, adjust the thermostat and turn on the lights. Once in a while they may think you’re asking for “pickled gallows” when you’re trying to have them add “pico de gallo” to your shopping list, but all and all, they’re pretty helpful. There are at least nine ways that a smart assistant can make your life easier — we know because we put that many in our freebie companion download. Check it out while you’re here. 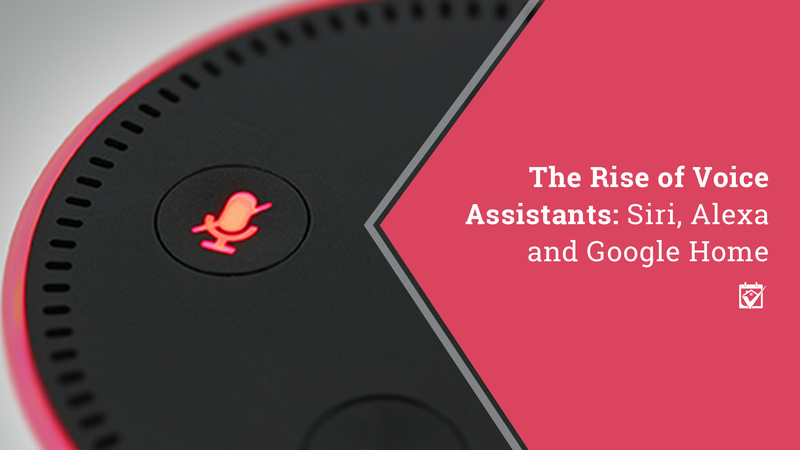 Personal assistants are so helpful that, according to our friends at Pew Research, 46 percent of Americans today take advantage of digital voice assistants like Alexa, Google Assistant and Siri. And why not? They work cheap, they don’t ask for bathroom breaks and they can make life a whole lot easier one little voice command at a time. But which is the one to have? Who is properly suited to your smart home configuration? The best minds of tech and business have put Alexa, Google Assistant and Siri head-to-head and each came back with the same results. There is no clear winner in the digital assistant world. There are some things that Alexa does phenomenally that Siri can’t and vice versa. Often, the best digital assistant is the one you like the most or that fits into your budget best. So, instead of wasting your time with yet another face-off, let’s just talk about what each brings to the table so you can decide for yourself what you really want your digital assistant to do. Sound fair? Alexa wasn’t the first voice assistant, but she was the first to have smart home capability in mind, so it’s no surprise that she’s a big winner when it comes to integration with everything from light bulbs to home security systems and even those smart ovens and refrigerators. Alexa has 15,000 skills that you can enable, giving her the ability to do just about anything you can imagine. Since she’s linked to Amazon’s massive shopping database, she’s also great at helping you find deals on items you may be interested in, reordering supplies you buy on the regular and keeping track of your shopping lists. A few clicks in the Alexa app gives her access to your Google calendar, allowing her to add or recite the day’s events. As an added bonus, the standard Amazon Echo is a solid speaker for music or audio books. There’s even a second generation model available with a device hub already integrated to make connecting smart home devices easier. The price point on these two devices ranges from $99.99 to $149.99. Google Assistant will work with some of the most popular smart home devices, with more being added all the time, but this isn’t really its bag. Like its parent, Google, Google Assistant is all about finding answers to everything and anything. If that’s the kind of assistant you need, then this is the one you want. Reviewers have proclaimed, hands down, that Google Assistant has the best voice recognition overall (and I can believe this because sometimes I wonder if Alexa needs her hearing checked), which leads to a lot less frustration in general. Ordering food is a breeze with Google Assistant, provided it supports the food app you’re trying to use. Again, the third party support isn’t as huge as it is for Alexa, but Alexa had a two-year headstart, so in time there may literally be very little difference between the two as far as expandability goes. Google Assistant has a lot of the same features as Alexa, including a morning news briefing. If you’re all about Google stuff and don’t mind to wait for Google Assistant to catch up to Alexa, the full size speaker has good sound quality and, of course, access to the Google Play store plus streaming services like Spotify for those spur of the moment dance parties. Priced around $129.99 for the standard Google Home speaker, you’ll be able to grow with the Google ecosystem. Siri’s just now moving into the Apple HomePod, so what she’ll be capable of is anyone’s guess. She was finally freed from the confines of the smartphone on February 9, 2018. Now, you need only hand over $349 to Apple and you can have your very own speaker version. Like Google Assistant, Siri can do some smart home stuff, but she’s limited to Apple Homekit compatible devices. Because she grew up inside a telephone, though, she’s still pretty great at connecting you to friends and family, making her an awesome tool for hands-free calling from anywhere in your home. Apple HomePod does a few things that no other voice assistant enabled speaker can do. First, it requires almost no setup, since it auto-detects where it is in the room by sending out audio blasts and listening for them to bounce back. That’s a pretty slick trick and ideal for anyone who struggles with technology. Secondly, the folks at Apple have given a lot of thought to security and decided their best response was to untangle your searches from your account. Instead of associating your data with your name, Apple HomePod associates your data with random numbers, then deletes the associated data every six months. That way if the government were to request your data for some reason (like they think you’re the Scranton Strangler), Apple can honestly say they don’t know what data is yours and refuse to comply. This has roots in an old dispute with the federal government over the creation of a backdoor into the iPhone for surveillance purposes. Choose the one with the features you’re going to use the most. If you’re an Apple person, go with the HomePod, if you’re all in on Google, Google Assistant is going to just get smarter and better. If you’re a fan of all things Amazon, Alexa’s already pretty mature and has lots to offer a busy person who can’t always make it to the store. When you’re ready to expand your smart home offerings to include things like security cameras, thermostats or that smart refrigerator, just open up HomeKeepr and you’ll find the right professional to help. They all come recommended, so you know you can trust that they’ll set you up with the right smart home equipment for the job you want to do.